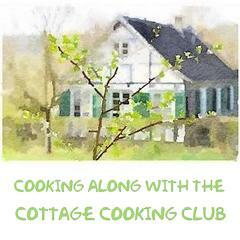 My blogging friend Mardi Michels recently published a cookbook! in the french kitchen with kids. Its filled with a wide range of recipes that look amazing. And I’m sure they are, since Mardi is both an accomplished cook, and we’ve been reading about her cooking classes with kids and have seen the results. Growing up, my brothers and I often turned to Betty Crocker’s Cookbook for Boys and Girls. Mardi’s new book is a much updated and more sophisticated concept, but certainly will inspire many young cooks I’m sure. Her love of French food, and the kids she cooks with, shines through on every page. So! On to the recipe. I bake a fair amount of bread, but not French baguettes. I’ve always read about how we can’t achieve a great result here, in North America, and at home. Those naysayers are wrong! Mardi’s is a no-knead recipe, and is simple and completely doable. Flour, salt, water, yeast. A couple of things: I pretty much never use a thermometer for my water. This was a great lesson, as I had not had water in other breads as hot as I could. Also, while I did weigh my flour, I got so sidetracked with the water temperature that I used 1/4c too much. Full disclosure, I did some rough math and added a bit more flour to make up for it. But since I live in the desert I’ve found that I usually add a bit more water anyway. So, I kept going. This all gets mixed together, and let’s face it. It’s a little goopy. Unlike some other recipes, Mardi has us put the dough in a bowl slicked with a little olive oil. And then covered with plastic wrap. It’s supposed to sit on the counter to raise for 2-3 hours. Me? I had it all planned out, I could pop mine in the refrigerator after that rise so that it could chill overnight or up to 5 days. Well, I waited that long, and then promptly left the house without putting it in the refrigerator. When I got back, I hoped for the best, put it in, and let it do its thing. The next day, the dough comes out of the refrigerator and it’s ready to shape. And this is where things get pretty brilliant. About 1 tablespoon of flour on a sheet of parchment. Half of the dough gets scooped out. And pressed into an 8″x4″ oval. Then it’s folded in half long-ways, pressed again to 8″x4″, and then folded in half again, pressing the seam together. Then shift the loaf seam side down on the parchment, gently stretching from underneath to get the loaf to about 12″. The loaf gets sprinkled with a bit of flour, moved to the baking sheet to rise for 1.5-2 hours. Then the loaf gets slashed for an iconic look. While this finishes rising, pre-heat the oven to 450 degrees. My oven goes higher, and I actually put mine at 465. The tray gets popped in, and if possible, spray some water from a spray bottle into the oven to create steam. The loaf gets baked for about 35 minute. And then! Wow! I thought this was just gorgeous, and better than I expected. The loaf was beautiful, crusty, with a great crumb. Just lovely!! And what about the second half? I must have been out of town for a couple of days, or otherwise preoccupied. It was at the end of the five days when I got to it. It looked pretty suspect! However, I persevered. Followed direction, except forgetting the spray of water. But still…it worked perfectly. This recipe produced a great loaf of crusty bread. I was so pleased to successfully create the baguettes. And the flavor, texture and color was fabulous. I’m excited about trying more of Mardi’s recipes. And ensuring the young cooks on my list get a copy. 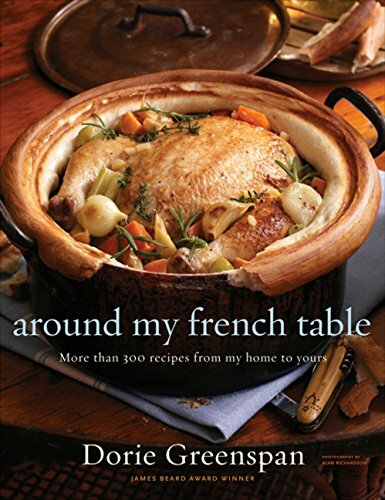 Though I have to admit, it’s a great introduction to French recipes for any age. Posted on October 3, 2018 by dulceshomePosted in Baking, Cook the Book Fridays, French Fridays with Dorie, UncategorizedTagged artisan bread. I think I want to make this for Thanksgiving. When and how much water did you spray? Did you spray it on the load or just in the oven? Just a few pumps from my spray water bottle as I put it in the oven. Yay!! That will be fun!! Thanks so much for cooking from In the French kitchen with kids – I am always SO excited to see people’s lovely results !